A tale of a girl and a vegetarian giant with an odd manner of speaking, who together save the country from Fleshlumpeater, Bonecruncher, Gizzardgulper and other hideous giants. 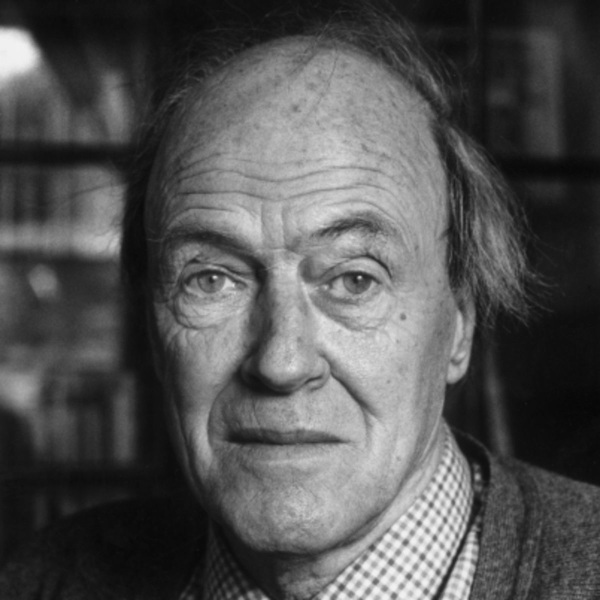 Roald Dahl (1916-90) is the beloved author of classics such as CHARLIE AND THE CHOCOLATE FACTORY and THE WITCHES, both made into movies. His birthday, September 13th, is celebrated around the world as Roald Dahl Day. After finishing school Roald Dahl, in search of adventure, travelled to East Africa to work for a company called Shell. In Africa he learnt to speak Swahili, drove from diamond mines to gold mines, and survived a bout of malaria where his temperature reached 105.5 degrees (that's very high!). With the outbreak of the Second World War Roald Dahl joined the RAF. But being nearly two metres tall he found himself squashed into his fighter plane, knees around his ears and head jutting forward. Tragically of the 20 men in his squadron, Roald Dahl was one of only three to survive. Roald wrote about these experiences in his books Boy and Going Solo. Later in the war Roald Dahl was sent to America. It was there that he met famous author C.S. Forester (author of the Captain Hornblower series) who asked the young pilot to write down his war experiences for a story he was writing. Forester was amazed by the result, telling Roald 'I'm bowled over. Your piece is marvellous. It is the work of a gifted writer. I didn't touch a word of it.' (an opinion which would have been news to Roald's early teachers!). Forester sent Roald Dahl's work straight to the Saturday Evening Post. Roald Dahl's growing success as an author led him to meet many famous people including Walt Disney, Franklin Roosevelt, and the movie star Patricia Neal. Patricia and Roald were married only one year after they met! The couple bought a house in Great Missenden called Gipsy House. It was here that Roald Dahl began to tell his five children made-up bedtime stories and from those that he began to consider writing stories for children. An old wooden shed in the back garden, with a wingbacked armchair, a sleeping bag to keep out the cold, an old suitcase to prop his feet on and always, always six yellow pencils at his hand, was where Roald created the worlds of The BFG, The Witches, James and the Giant Peach, Charlie and the Chocolate Factory and many, many more.